Do Man City have the most fickle fans in football? Last weekend’s Premier League and FA Cup fixtures produced late goals, late drama and everything in between. Only Watford can lay claim to a more nervous win this weekend than Jurgen Klopp’s Liverpool. 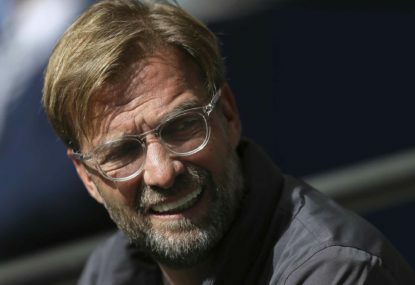 After the long weekend of football, we look at the talking points from the fixtures, and how they affect the Reds moving forward. Is Roy Hodgson’s gain Liverpool’s pain? A day before Liverpool kick off against Chelsea this weekend, Manchester City visit Crystal Palace at Selhurst Park. Kopites will be hoping this banana skin trips City up in the title race. Roy Hodgson’s side almost sparked an earthquake on Merseyside after their shock 3-2 victory at the Etihad in December. If they can repeat the feat here, it will certainly measure on the Richter scale. The question on every lips remains: has their win over Newcastle changed the landscape? After Luka Milivojevic’s late winner on Tyneside, Palace sit 11 points from the drop having played a game more than Cardiff. With safety almost guaranteed, will Palace be on the beach already? Yet, so often, Roy Hodgson’s gain has been Liverpool’s misery. Think his appointment at Anfield for a start. Add Paul Konchesky, Christian Poulsen and selling the wrong Alex into the mix, and you’ve got enough examples to ruin your day. Those awful memories aside, if the wily manager can produce a famous night at Selhurst, all may be forgiven come May. 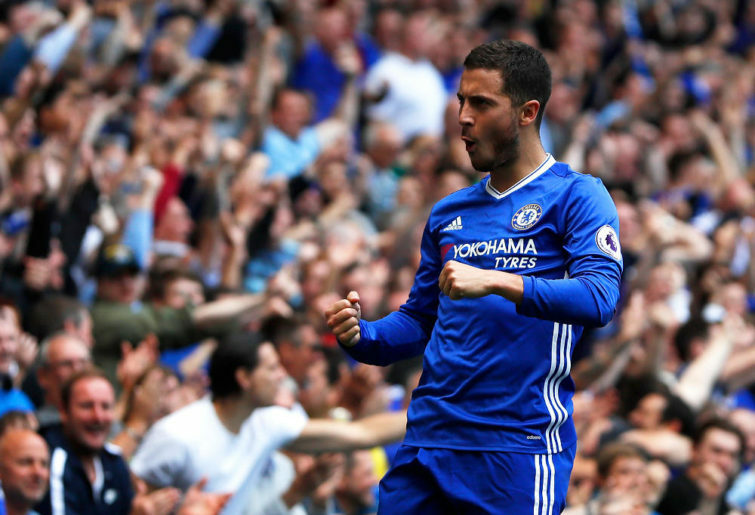 Has Eden Hazard hit form just at the wrong time? Wouldn’t you just know it. As Chelsea travel to Anfield for Sunday’s crucial encounter, Eden Hazard has decided to shift back into top form. Hazard has been a constant thorn in Liverpool’s side since his arrival from Lille and looked dominant against West Ham on Monday. The Belgian produced a stunning display, including a brilliant solo goal to open proceedings. Not stopping there, he added a second in added time to sew up the three points. It adds another layer of anxiety for Reds fans, fearing the worst ahead of their toughest remaining fixture. Since their previous meeting in September, Liverpool’s defence has improved. However, Trent Alexander-Arnold and co will have their hands full to keep out the red-hot Hazard. Exorbitant ticket prices or fickle fans? Manchester City fans arrived at Wembley in style, dressing up as red seats during their win over Brighton in the FA Cup semi-final. Over 2000 tickets remained unsold in the City end, prompting sneering and criticism from rival supporters. Some will argue City are a smaller club skyrocketed to the top by incredible wealth, supported by fair-weather fans. There were also hundreds of empty seats for their fixture against Cardiff last week. So much for being in the midst of a nail-biting title race. Can you remember the last time Liverpool or Man United returned tickets to the FA, unable to sell them? Remaining tickets were a ridiculous £80, which is a whole another debate in itself. However, it is the same for all fans around the country. A matter of affordability or a club followed by those who pick and choose, rather than living and die by their side? Is Troy Deeney the most likeable guy in football? For a big, hulking, throwback centre forward, Troy Deeney is one of the more humble and admirable figures in English football. Except if you’re a Wolves fan! The Watford captain smashed home the equaliser in stoppage time before the Hornets sealed the comeback with a Gerard Deulofeu winner in stoppage time. Reds fans could’ve done without the ex-Everton product’s match-winning display, although Deeney’s post-match comments put everything into perspective. Just seven years ago, Deeney spent three months in prison, and three years prior to that paid “10 pound a week to play football”. It’s not often fairy tales like this occur in football, and it’s yet another reason to root for Man City’s FA Cup demise. Are Arsenal suffering from ghosts past? Before Arsenal ventured to the blue side of Stanley Park, spirits were buoyed. An opportunity to further embed themselves within the top four laid at their feet. With Manchester United and Tottenham having played midweek, this was Arsenal’s chance to make a statement of intent. So of course, they went 90 minutes without a whimper. They would’ve done better not to step off the bus. Unai Emery’s side were horrible from start to finish, unable to play with any coherence or energy. This was a typical performance of Arsenal under Arsene Wenger, needing a big display away from home with precious points on line, and ultimately failing miserably in result and performance. Can Emery change the lingering culture at the Emirates? That is yet to be decided. 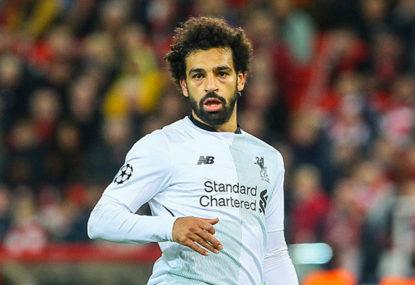 When Mohamed Salah struck so vitally at Southampton, the Egyptian hit the half-century mark for Liverpool in the Premier League. 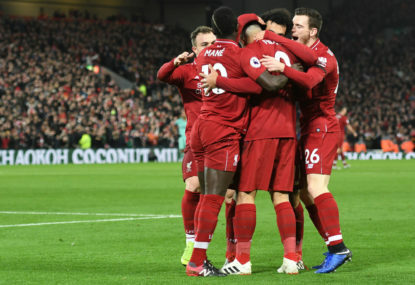 Liverpool have qualified for the quarter-finals of the Champions League with a 3-1 win at Bayern Munich while Barcelona blasted Lyon 5-1 at home to progress. 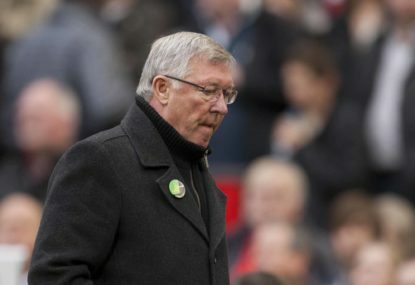 Sir Alex Ferguson famously said he took on the challenge of managing Manchester United “knock Liverpool right off their f***ing perch. And you can print that”. Bayern Munich’s 0-0 draw at Liverpool in their Champions League last 16 first leg tie put the Germans in the driving seat but they will be under more pressure at home, the English Premier League club’s fullback Andy Robertson says.